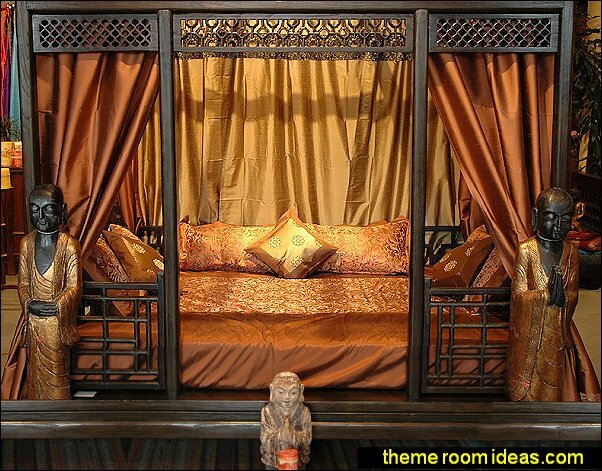 Four foot tall Oriental room divider with multiple decorative components. Open lattice features fiber ties at each joint. 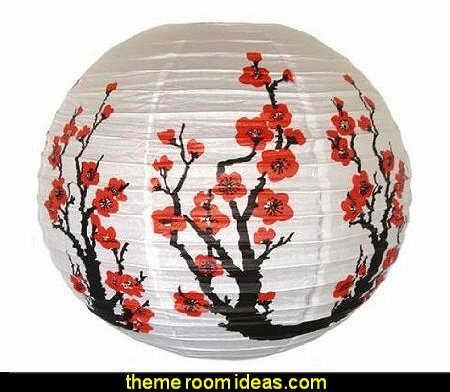 Hanging black electric lantern is wired for American light bulbs and plugs into a standard American outlet. Rustic thatched roof of natural fiber has bamboo poles stained a dark walnut. Footed triangular feet add stability and style. 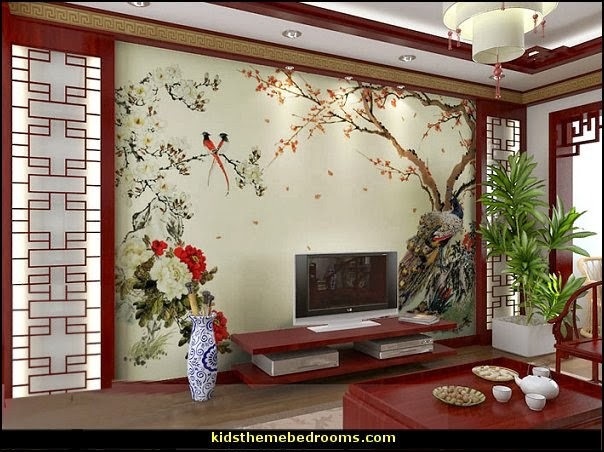 Bring a little of that Asian style decorating flair from the Orient into your home and blend the essence of Eastern style of balance and harmony, color and texture, simplicity and richness. 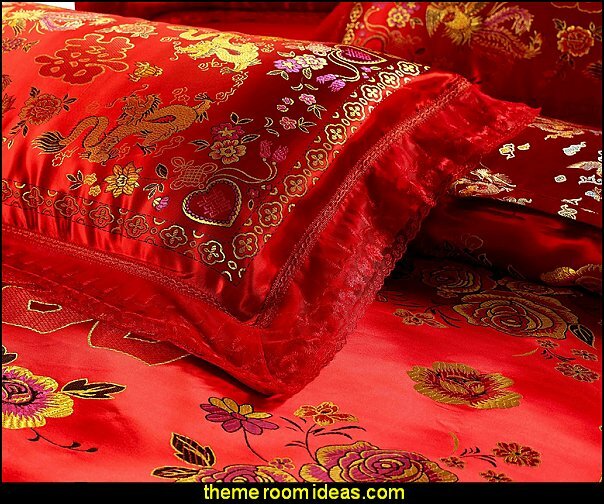 and add that opulent exotic Asian feel to your bedroom and home with rich colors and mixed fabrics from the colorful Far East. 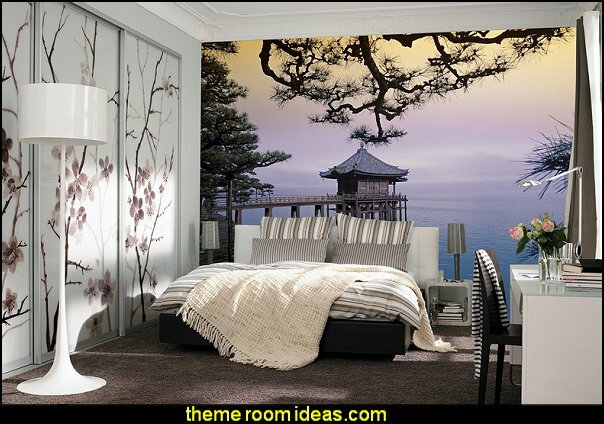 Beautifully elegant, this room uses the patterns & colors of the Far East. 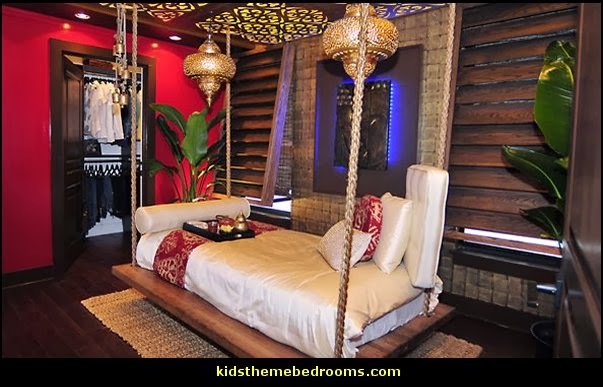 Mix of traditional, modern and exotic style blended together. 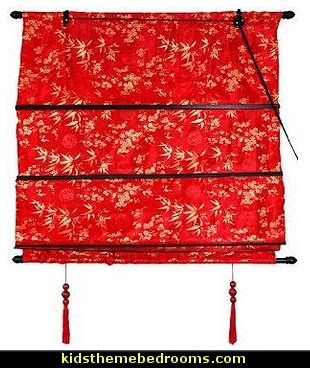 Hand crafted roman style retractable window blinds, in bright chinese lucky red sateen fabric embroidered with classic oriental blossoms and bamboo design. 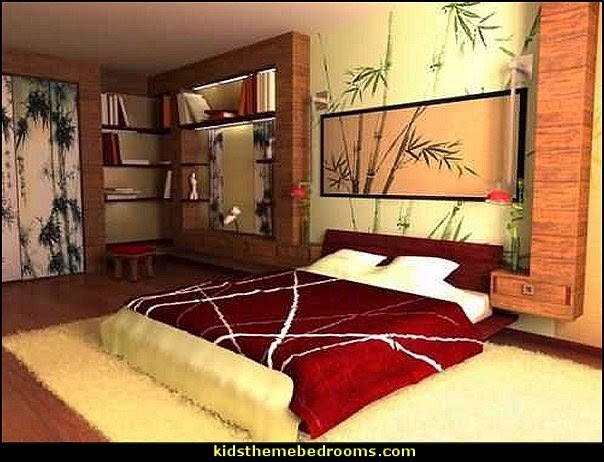 Choose 2, 3 or 4 foot wide designs, all adjust to as long as 6 feet. install on window frame to cover window opening. Choose width wider than the window opening for complete privacy. 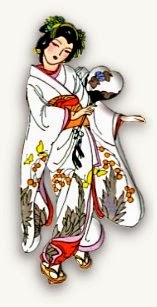 Also available with black shou symbols on gold background, as well as gold arabesque on black. 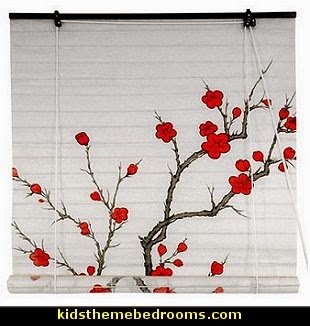 Japanese design shoji paper roll up window blinds, with cherry blossom art print design facing into the home. 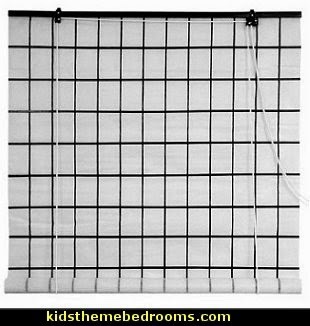 Unique design faux shoji lattice design window shade, with black lacquered top and bottom bar. 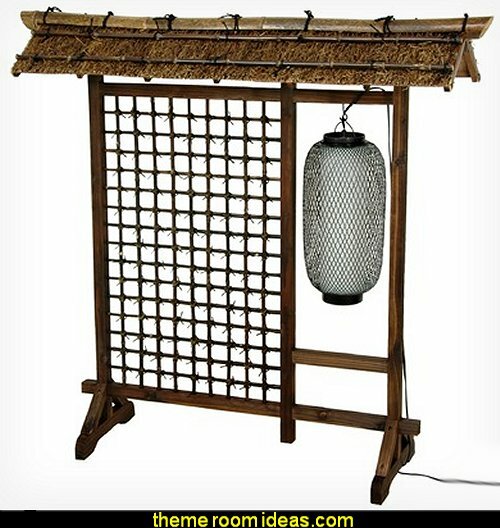 designed to compliment shoji screen room dividers, as the black grid design resembles the lattice on a traditional japanese style shoji screen. 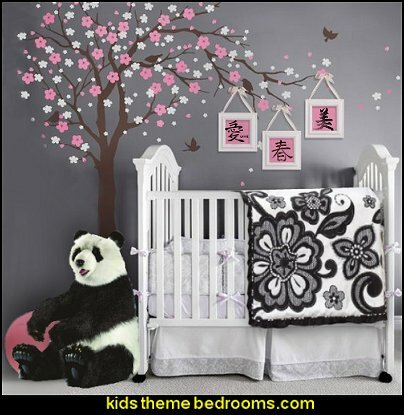 Offered in 2, 3 and 4 foot wide designs, all extend up to 6 feet long. 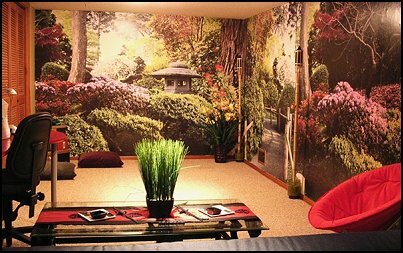 shoji paper allows some light to diffuse into the room, while offering privacy inside the room. 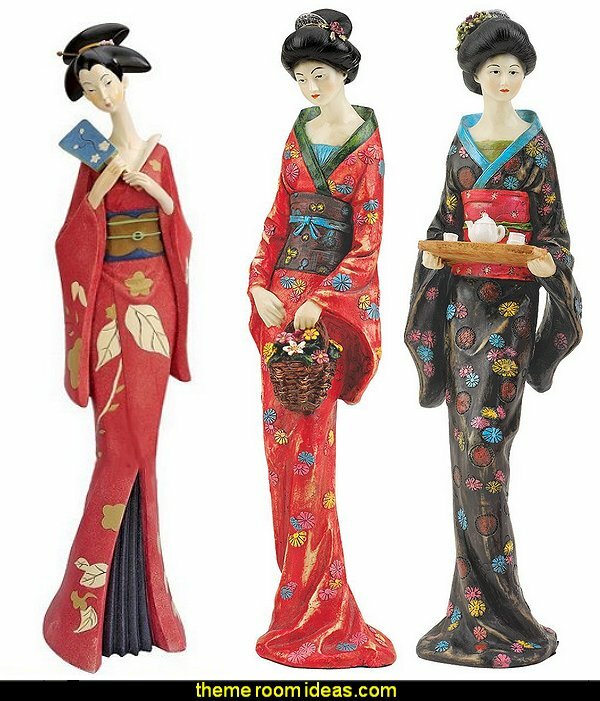 With elegant kimonos and demure smiles echoing the dances of the Maiko (or apprentice) Geisha, these figurines arch in the centuries-old, graceful fan dances favored in western Japan. 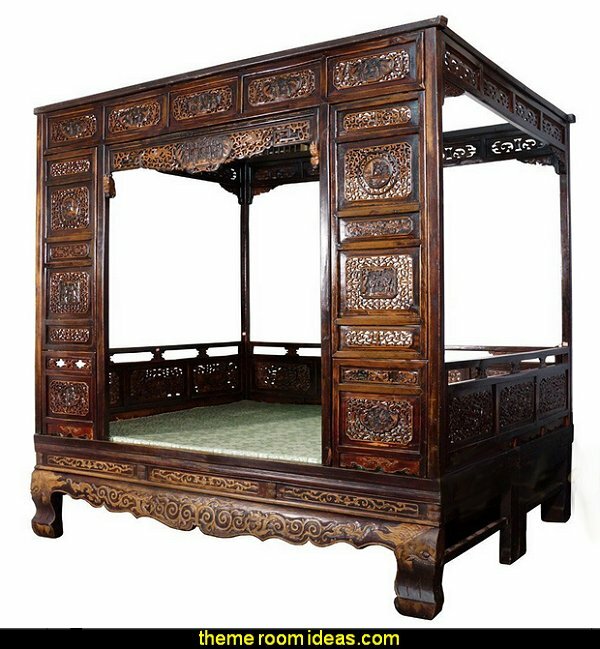 exquisite antique Chinese wedding bed! 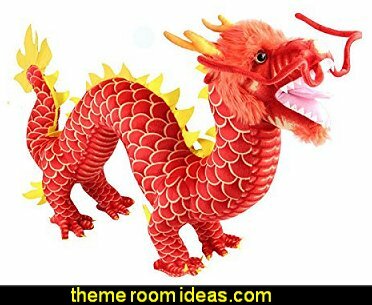 You can see detailed open wood carving works and the many ornate wood carvings that reflect China's magnificent history. 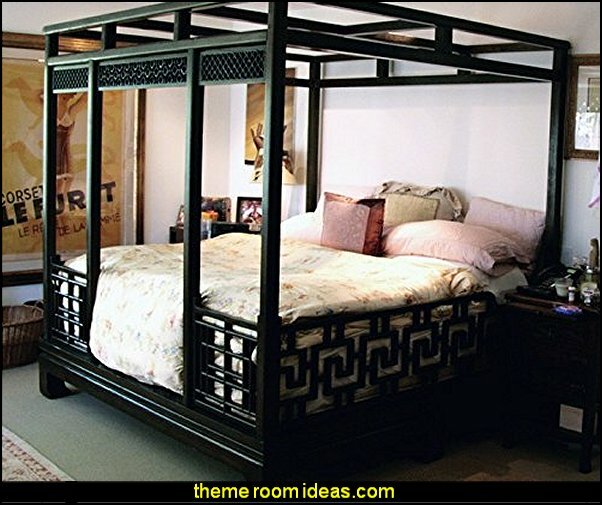 This bed is made from Zi Wood, and has been kept in beautiful condition. 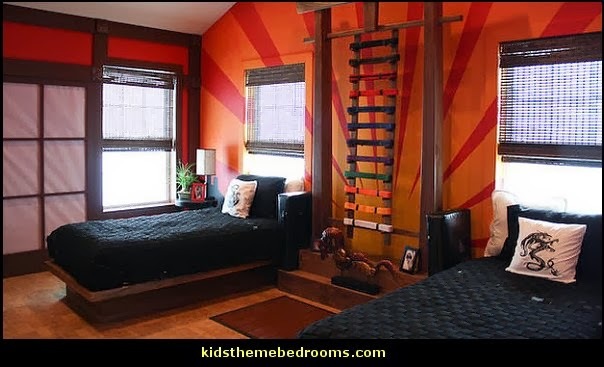 This bed has it's original finish, it feels very smooth to the touch! 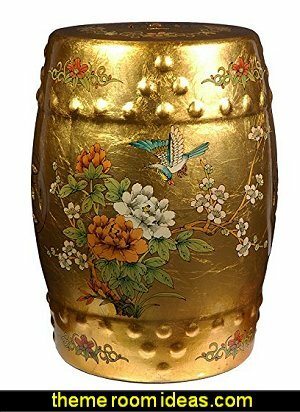 Inspired by Chinese craftsmanship of the 18th Century, each stool has been covered in authentic gold leaf, hand-painted with birds and flowers, and finished with a rich, clear lacquer. 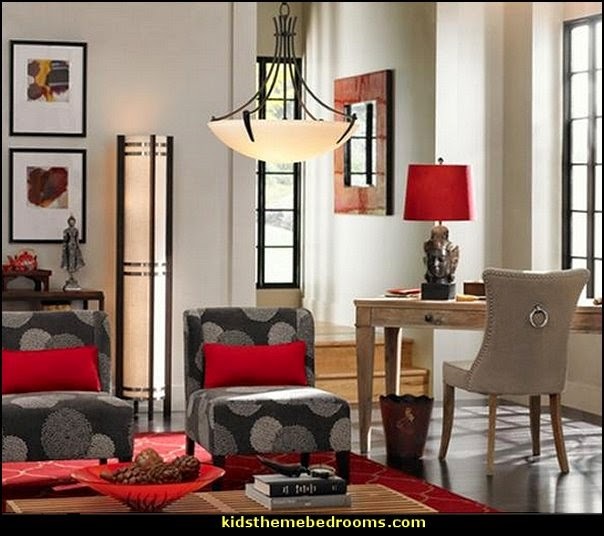 Use it as a seat, plant stand, side table, or a truly unique and one-of-a-kind display piece. 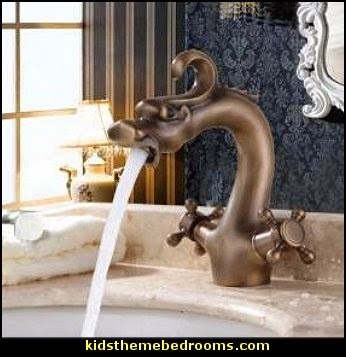 Add a touch of oriental decor to your bathroom with this Chinese dragon sink faucet! 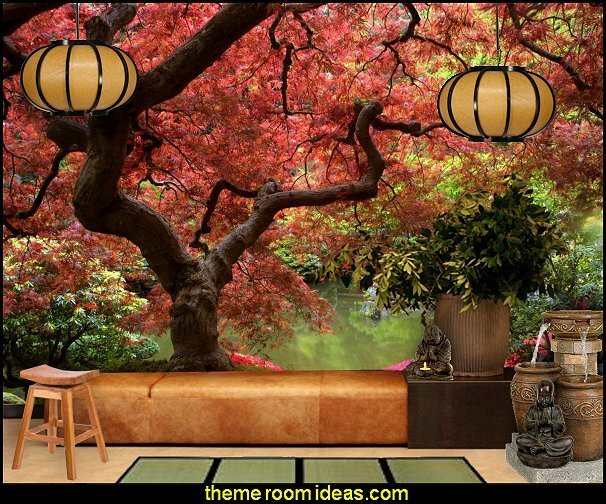 So you love sushi, sleep on a futon, drink green tea - why not take your Nippon-adoration one step further by infusing your surroundings with a few Japanese touches? A minimalistic, simple style, yet very functional. 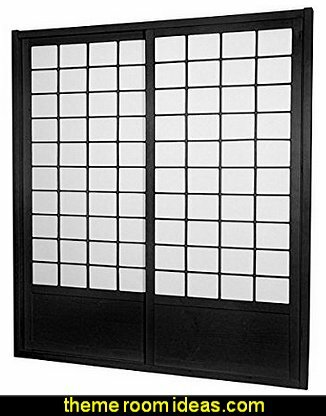 This fantastic Zen Shoji Sliding Door Kit (Double-Sided) comes with sliding doors, top and bottom tracks, and right and left door jambs. 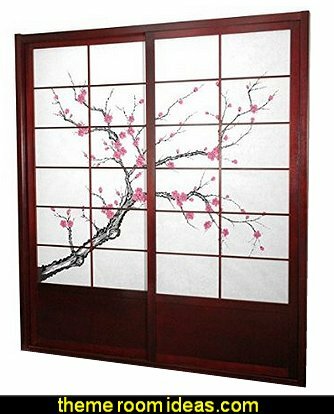 This fantastic Cherry Blossom Shoji Sliding Door Kit comes with two sliding doors, top and bottom tracks, and right and left door jambs. 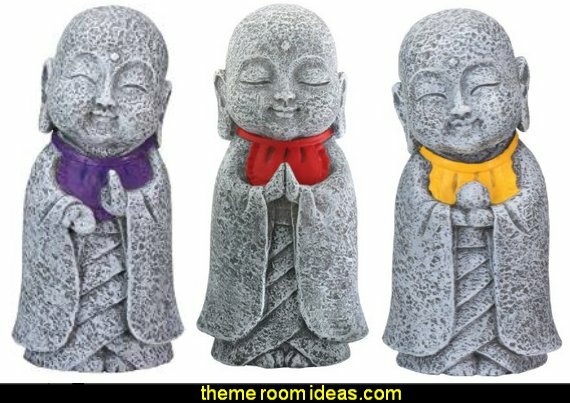 It is an elegant and subtle way to bring a sophisticated Asian accent to your space. 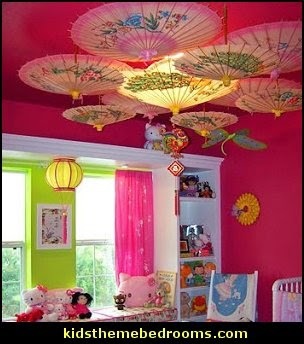 Asian approach to design is so subtle and universal that it will lend harmony and balance to every interior. Above all else, materials must be authentic. 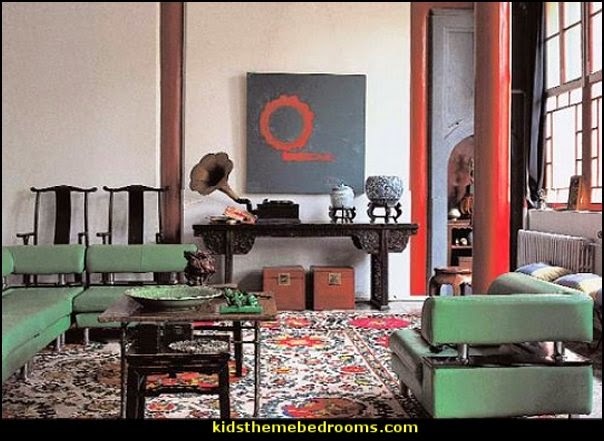 Wood, lacquer, clay, bamboo, rattan, paper and silk are all crafted, produced and reproduced with constant respect for the essence of each material. 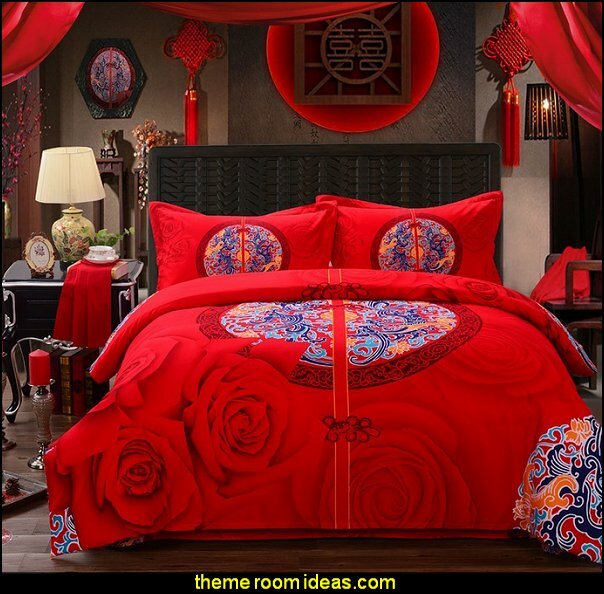 Cinnabar red, imperial yellow, sapphire blue, mysterious black - a subtle symbolism governs the pure, bright colors found throughout the Far East. 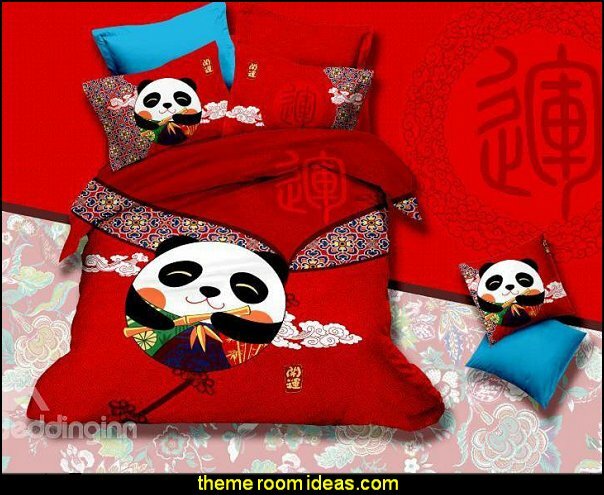 Patterns range from geometric simplicity (point and line, zigzag) to figurative complexity (based on plant and animal motifs) via calligraphy with its highly decorative ideograms. Highly refined shapes develop a powerful vocabulary of legibility and instant clarity. 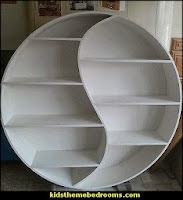 Yet at the same time they embody a complexity that endows every object with multifaceted appeal. 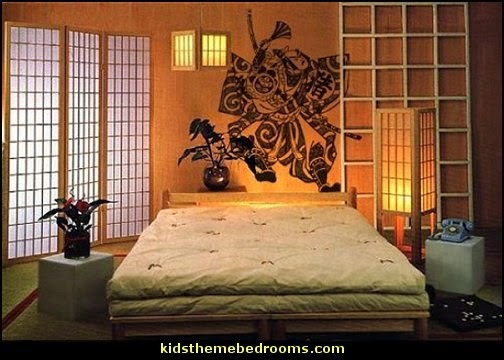 Install tatami mats and shoji doors-cardinal elements of Japanese interior design-and see how beautifully they respond to the Western home. 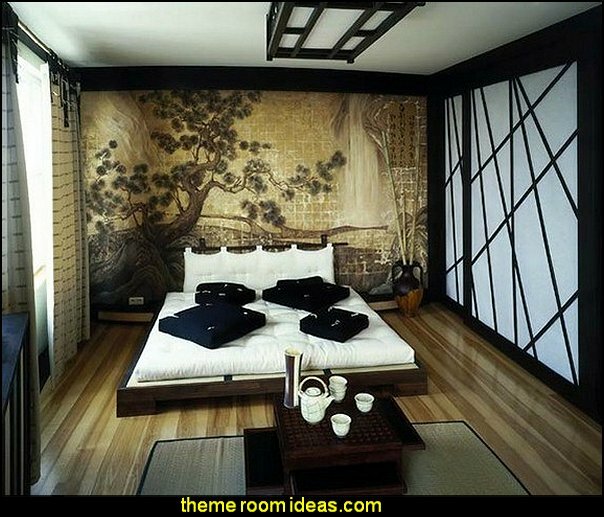 Change the size and shape of a room easily and tastefully with bamboo screens and movable partitions. 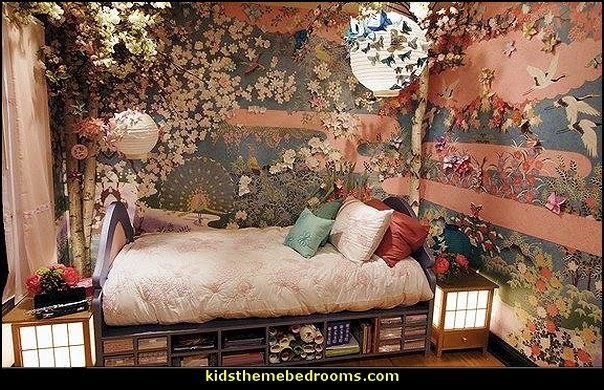 Build a simple Japanese-style alcove, decorate it with something special, and then flaunt it. Try some Japanese lighting techniques-low, soft, and beautiful. 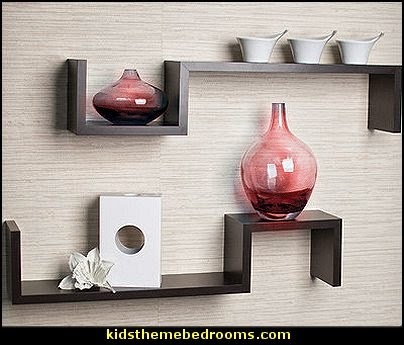 Change the mood of a room, and change your way of looking at things. Influenced by Japanese Tatami style, our low platform queen-size bed creates a spacious illusion of the room that suits contemporary furnishing perfectly. 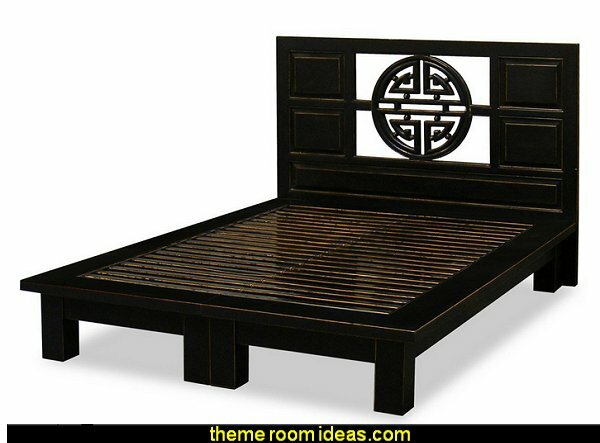 The open longevity symbol is hand-carved on the headboard. 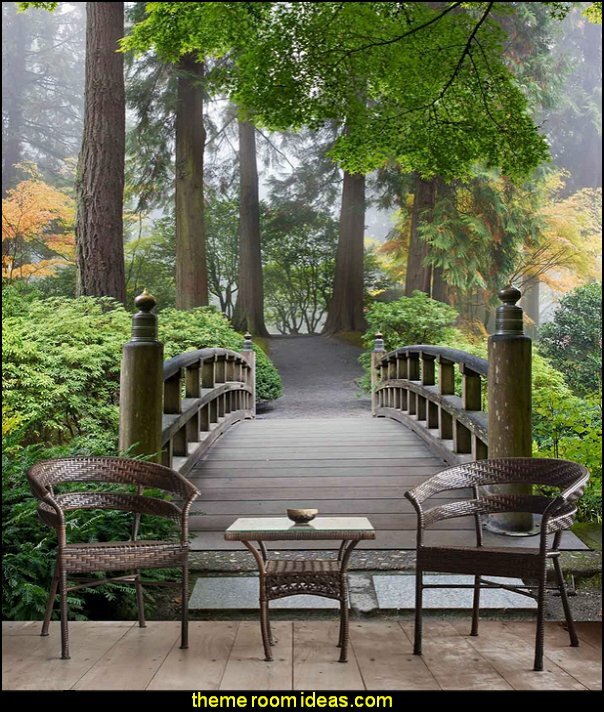 Hand crafted of solid Elmwood with traditional joinery technique ensures a sturdy structure and long lasting durability. Hand-applied distressed black finish. 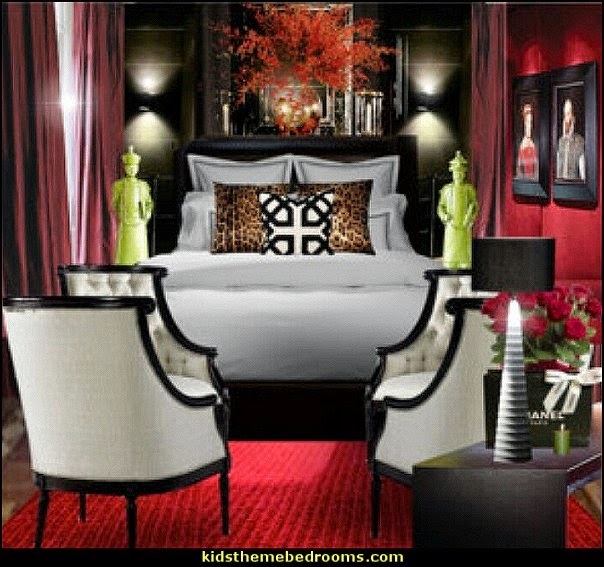 Platform comes in two pieces, each one is 81"Lx30"Wx14"H. Headboard is 60"Wx44"H. Also available in King, Full and Twin sizes. The ancient Yin Yang symbolizes perfect harmony. 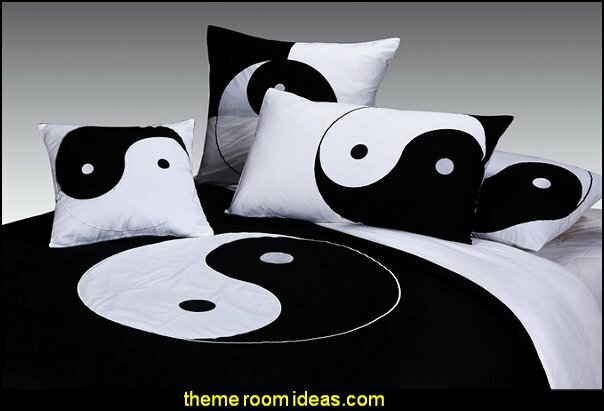 The black and white suggest opposing forces of the universe, yet when they blend, calmness exists.